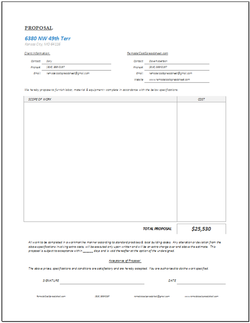 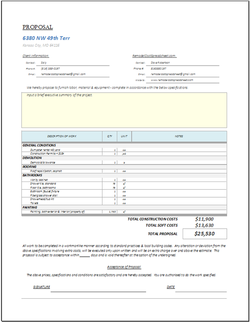 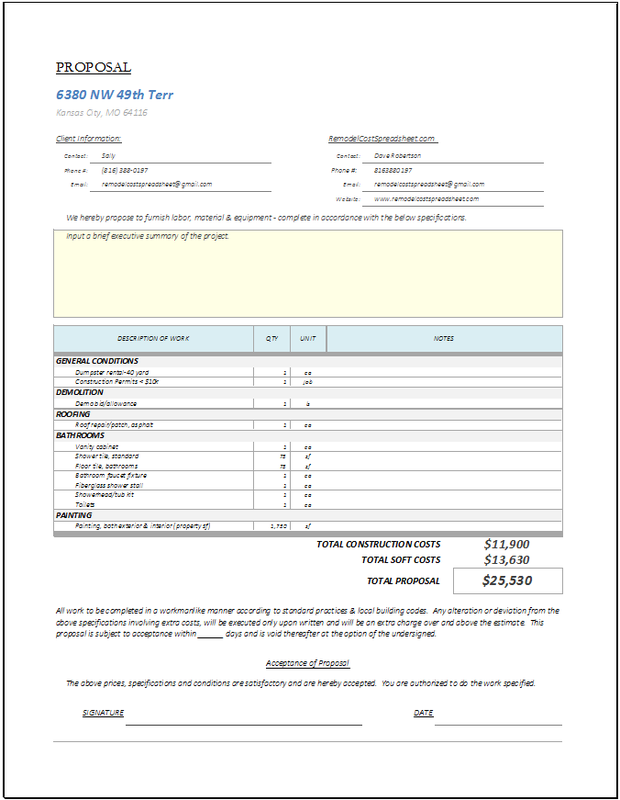 The Remodel Cost Estimator allows you to create comprehensive remodel cost estimates in a matter of minutes. 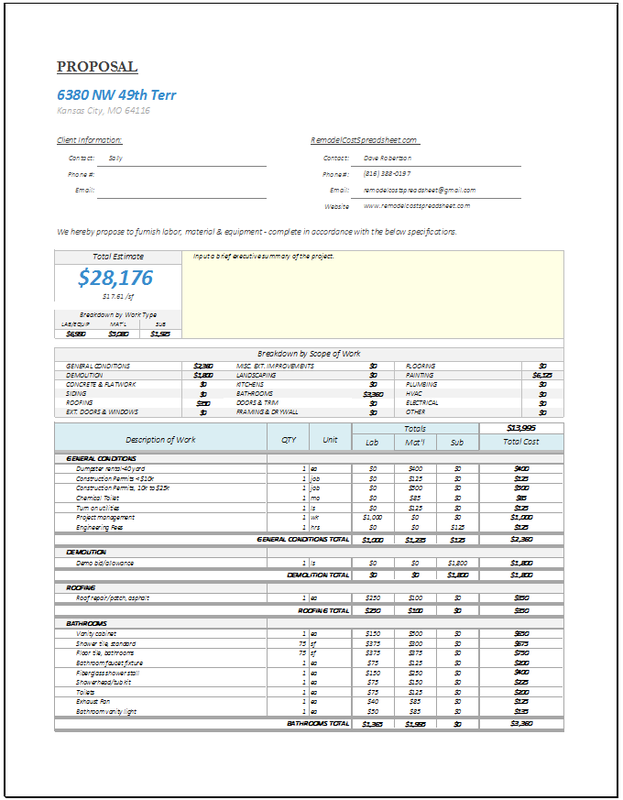 With a database of over 400+ common repairs/remodeling work items and unit prices, you will be able to create remodel cost estimates that are more detailed and accurate in a fraction of the time. 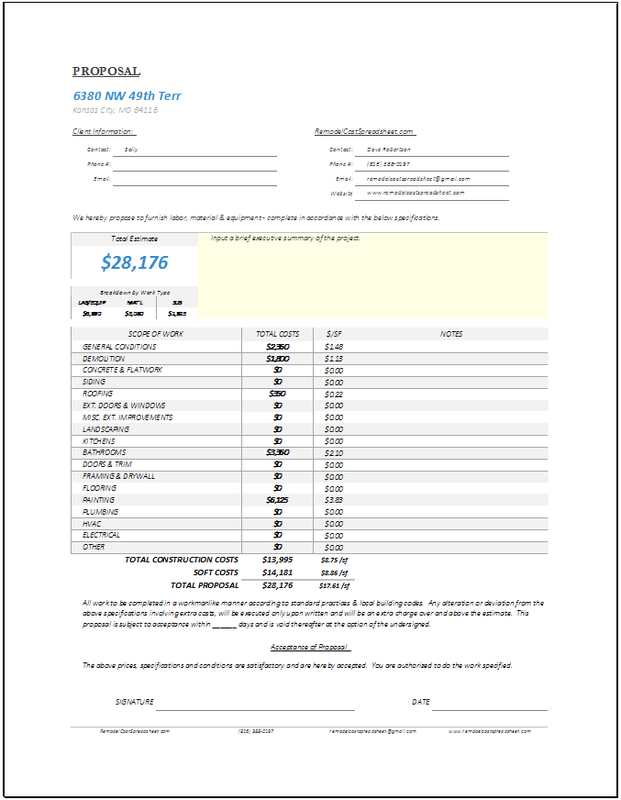 All unit costs are based upon average labor, material, equipment costs backed by years of rehabbing and construction cost estimating experience and current RS Means Construction Data and tailored to meet the needs of the average rehab project. 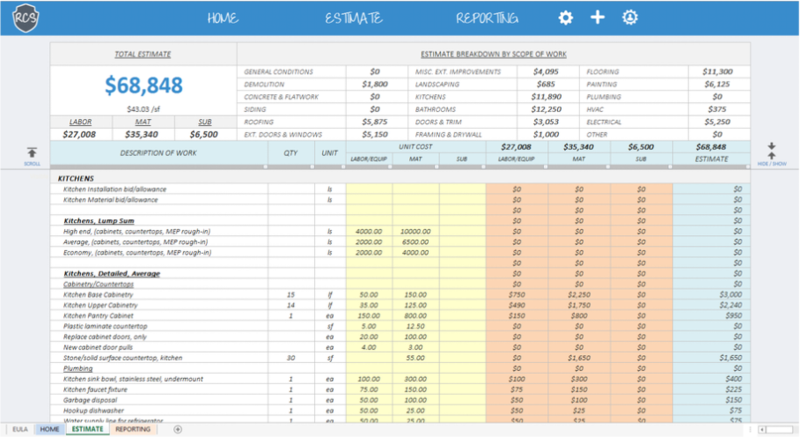 With over 400+ built-in work items and unit costs found on a typical remodel project, this spreadsheet is an invaluable cost database that can be used to quickly create accurate and comprehensive cost estimates in a matter of minutes. 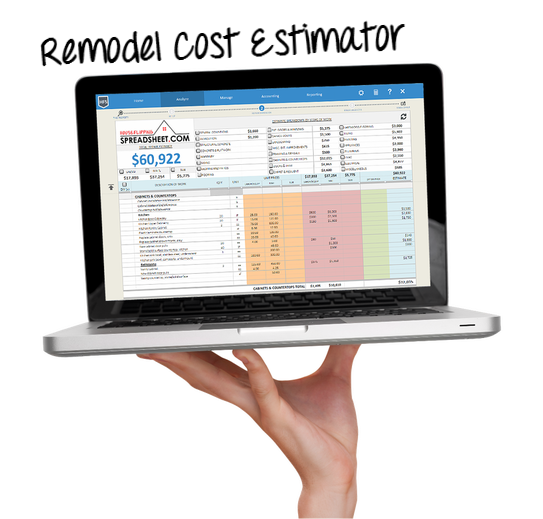 The Remodel Cost Estimator has built-in estimate analysis and sorting functions that allow you to do a thorough analysis of the remodel estimate to ensure accuracy and manage risks/opportunities within the budget. 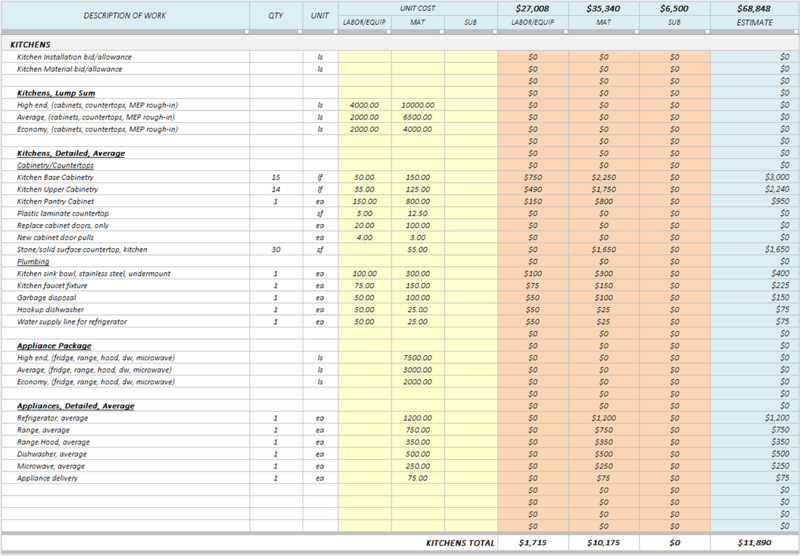 Breakdown Estimate by Labor, Material, Subcontractor items.